Massia Officinale invites for two Spring Meetings this year in MASSIA. 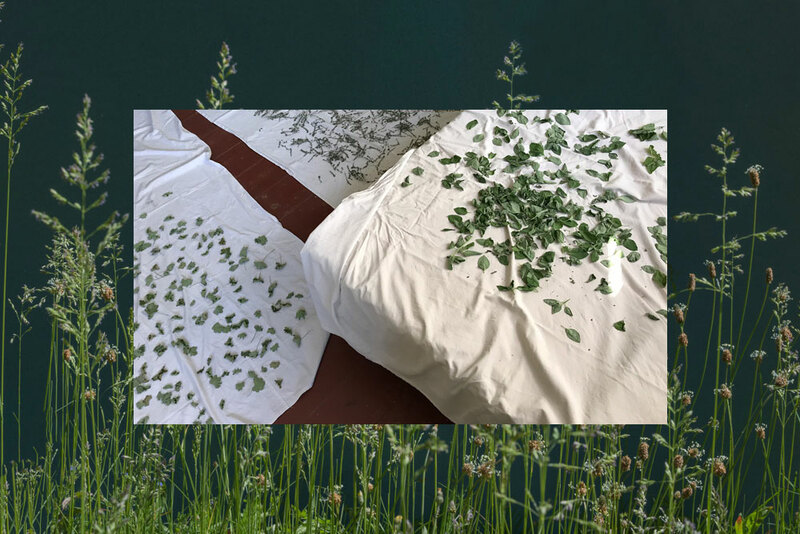 Massia Officinale is a project evolving around a medicinal herb garden offering itself as a platform for interdisciplinary work investigating entanglements with more-than-human nature. The work with herbs offers an entry point to investigate and navigate a complex web of multi-species relationships. Tracing back human interactions with herbs, one passes by the nature/culture divide, demonisation and romanticisation of nature, privatisation and commodification of common resources, patriarchy, colonialism, exploitation and disenfranchising of beings, bodies and knowledges and the unsettling situation of the Capitalocene. Massia Officinale wants to be a tool to be used to think, create, play with alternative pasts, presents and futures. For the meetings we propose to craft ourselves the questions we want to be-with, do-with, think-with. Studying, discoursing, producing and reproducing knowledge, ourselves, the surroundings we live off and with, growing and gathering food, finding and making medicine, managing our waste. Interweaving intellectual, artistic and everyday practices. Inhabiting and co-constituting the space we want to make possible. You’re invited to add your proposal ahead of time or while you’re here, let us know if you’d like to discuss or need help in any way. The work we have started last year includes building up a physical laboratory for doing-with which experiments with a communal apothecary created and used by people who come to MASSIA. It involves a kitchen, library of books, seeds, herbs, materia medica and herbaria; we can develop this further during the meetings. If you have books, seeds or herbs you would like to share, please bring them along. The first meeting will be during spring equinox, the re-balancing of day and night and beginning of the year in many traditions. In Massiaru frost will stay until late April. To play with the short growing season, we can sow seeds indoors (and set free the seedlings during the second meeting). We can feast on the preserved foods and dried herbs from last year and make space for this year’s harvests. Maybe we want to perform rituals to accompany the change of seasons. The second meeting spans a longer period bridging the Easter holidays in April and the absence of frost expected early May – to make it possible for people to join who are bound to public holidays and also to gather at a time when local plants start growing again. There will be lots of wild plants in the surroundings to forage and the garden will be coming back to life as well. This year we will try to grow more food which we have prepared a field for, ready to be cultivated. You can stay longer or shorter and join and leave the meetings according to your personal planning. Please write an email to infomassia@gmail.com with the dates you’d like to join. Prices in 2019 are 10 euro per night when your stay is longer than 4 nights, 11 euro when under 5 nights and 275 euro for one month. To enter the space you have to become a member for 12€. This membership is valuable for 12 months. Cooking will be collective and cost 8€ per day.